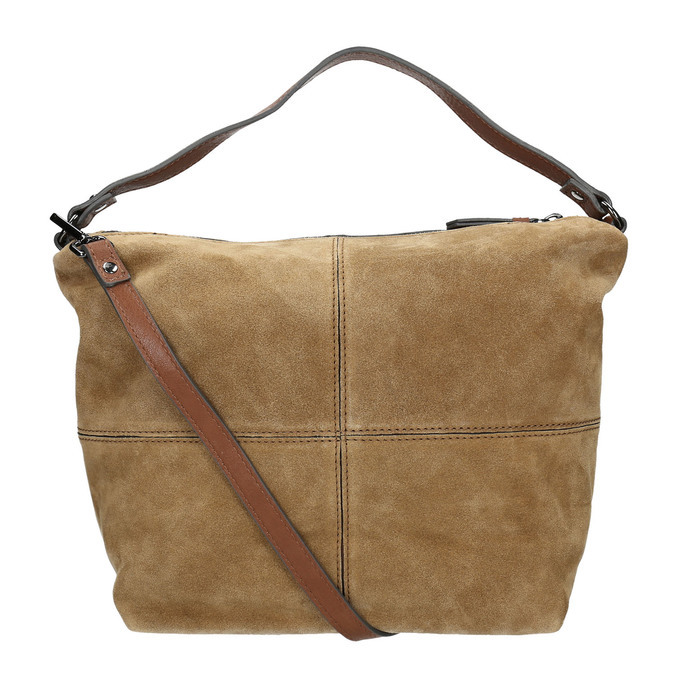 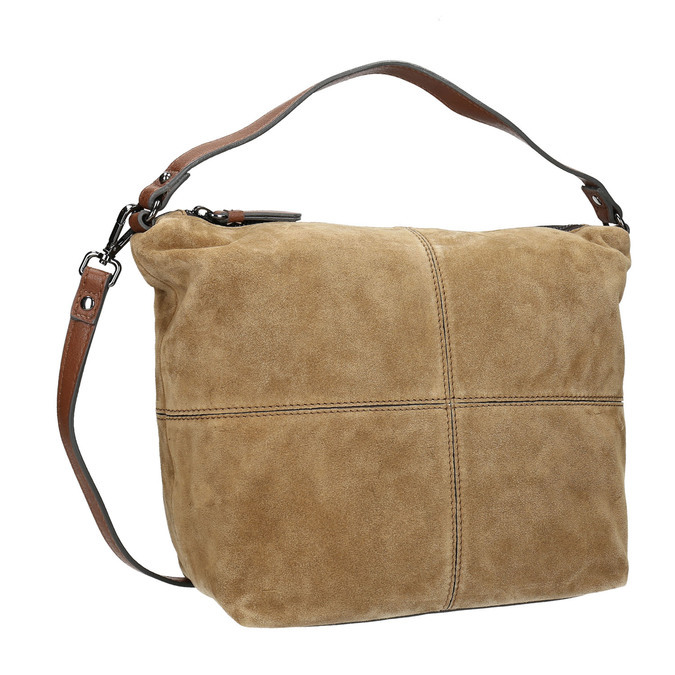 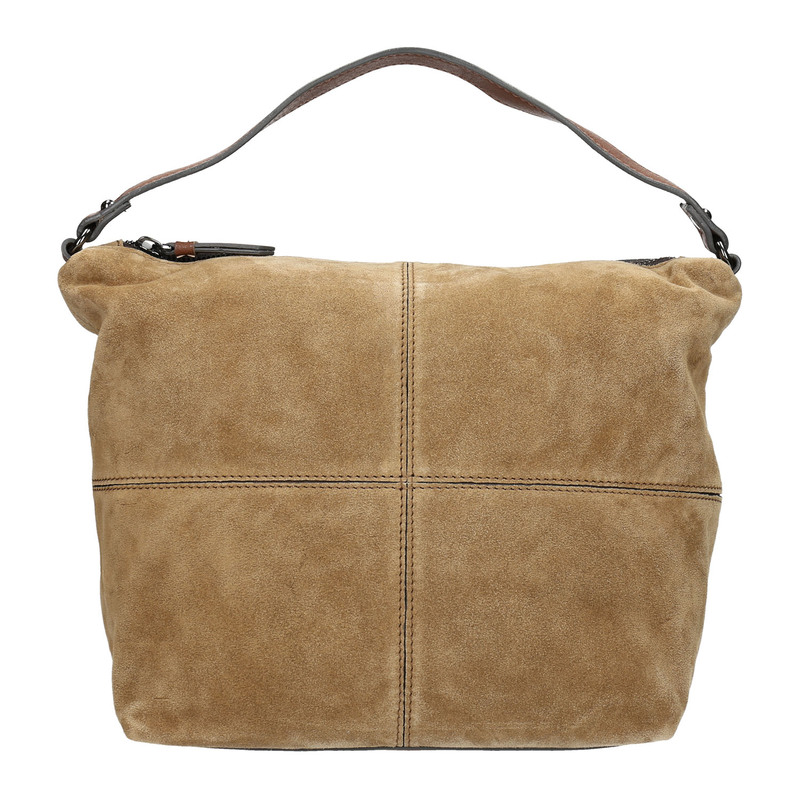 Ladies´ handbag made of brushed leather in the Hobo style with a detachable strap for crossbody wearing. 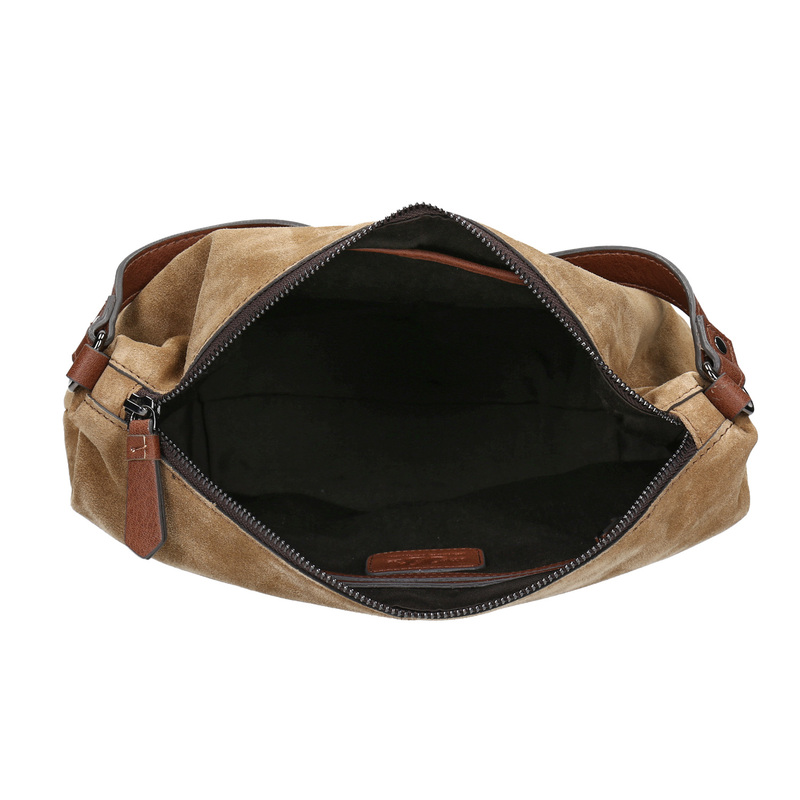 The model is medium in size and looks as if made of four pieces stitched together. The bag features a practical dark lining and many small internal pockets for your little necessities. This shade perfectly communicates with denim and autumn colours.